Born 1949, in Fukuoka, Japan. After graduated from Hakata Technical School in 1968, he joined Nissan automobile as a designer. He started off with designing parts, then begin to work on Second generation:Nissan Violet, and had worked on many projects since then. As his most famous design is Nissan 300ZX, he also worked on Silvia240SX, SkylineGT-R, InfinityG35, Q45 and so on. 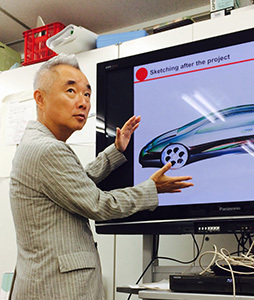 In 2008, he became a professor in Tokyo Metropolitan University, and has taught many students about the beauty of car design through the class call [transportation design].